Ole Lynggaard Copenhagen works with a vast array of bold colors and soft shapes. His collection luxuriates in a bohemian radiance. He is the official purveyor to the court of the Danish Royal Family, and uses exclusively high-quality materials for his collections, which are inspired by nature. We are the exclusive suppliers in Trentino / South Tyrol of the Ole Lynggaard Copenhagen brand of jewelry. This traditional Italian manufacturer of jewelry has a name that stands for high quality and exclusive design. Fope Gioielli is recognized by the sporty braided pattern and innovative ideas: Thus, the company has obtained a worldwide patent on its FLEX IT elastic wrist band that the lady can easily slide over her wrist without the use of any clasps. 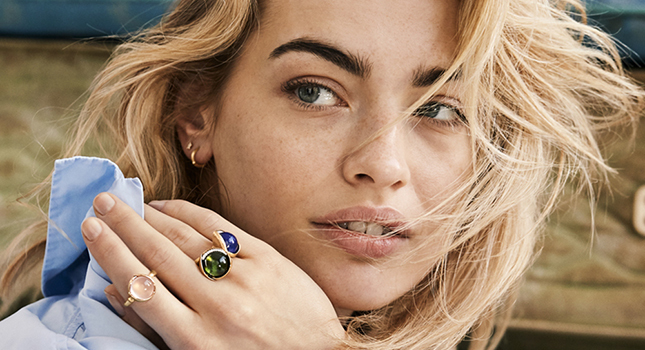 A unique combination of colors blended with lightness and a pinch of casual playfulness are the hallmarks of these unmistakable items of jewelry belonging to the Tamara Comolli collection. The playful designs can be individually combined – let your fantasy run wild! This collection is characterized by modern yet classic shapes and contours realized with high-quality gold, diamonds, colors precious stones, and pearls. This company is now one of the largest in Europe. The extensive range of premium jewelry is elegant and exclusive, with extremely stringent quality control. La dolce vita – the “sweet life” of Italy. Trendy and light, with first-rate workmanship, these dynamic creations made of high-quality silver exude an unmistakable charm that will enthrall you the moment you lay your eyes on them. 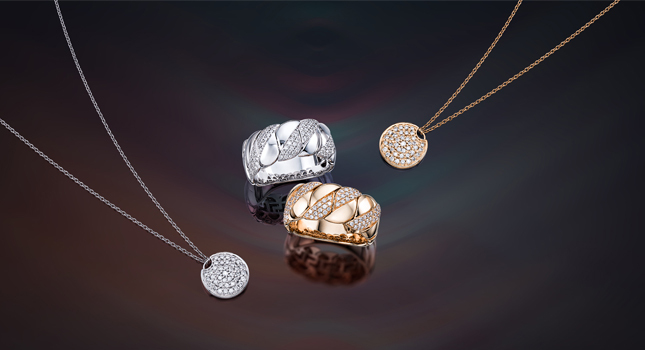 We carry – exclusively throughout Italy – a select collection of jewelry made by the renowned Swiss manufacturer MEISTER. 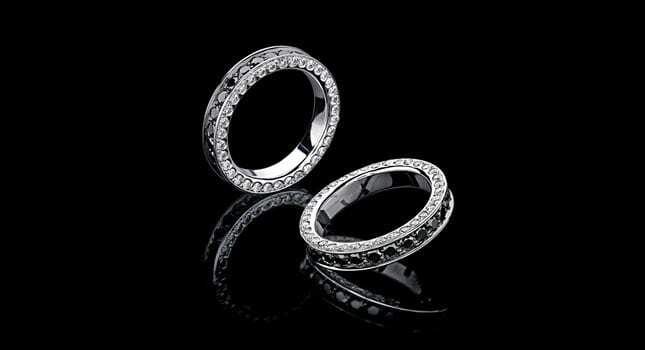 Besides the large line of wedding rings, you’ll find men’s jewelry with bold designs and special materials. When stylish Italian design is combined precision workmanship, the result is unique and unmistakable jewelry. 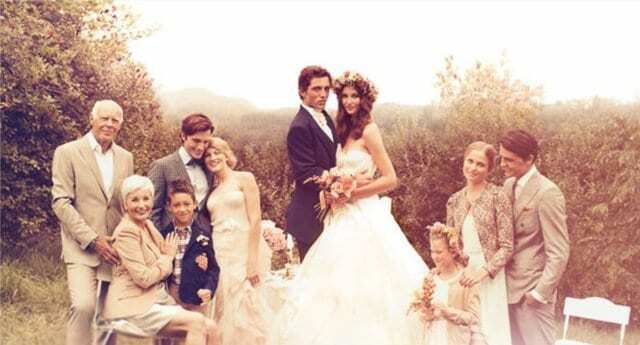 La Preziosa unites premium craftsmanship and innovative technology with passion and an attention to detail. We create this proprietary collection of jewelry – from preliminary sketches to putting on the finishing touches to the final product – in our own studio. These individual items of jewelry are sure to catch your eye and win your heart! Fine craftsmanship is visible in every detail of these items of diamond and gold jewelry – and their unmistakable Italian design can’t be overlooked. Superlative items of jewelry characterized by intensive colors, excellent gold metalworking, and elegance. 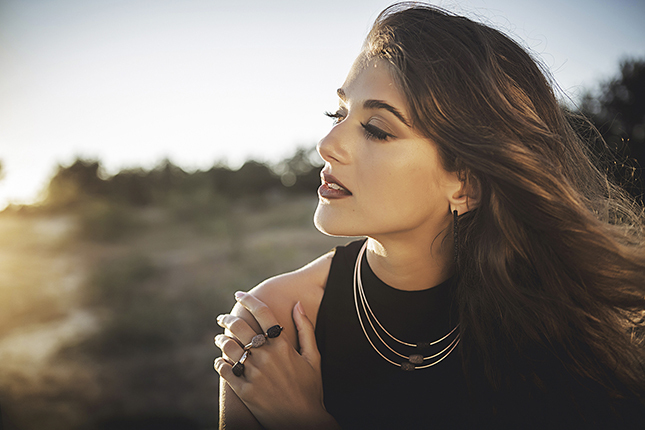 Lenti Villasco, This family-operated jewelry manufacturer has a name that stands for tested-and-proven value and Italian design. Exquisite materials, the use of the latest technologies, flawless workmanship, and stringent quality control all guarantee the impeccable reputation of this Italian diamond jewelry. Swiss watchmaking precision, non-stop research and development in the area of materials technology, and elegant design represent the foundations of these stylish, individual high-tech ceramic chronometers. 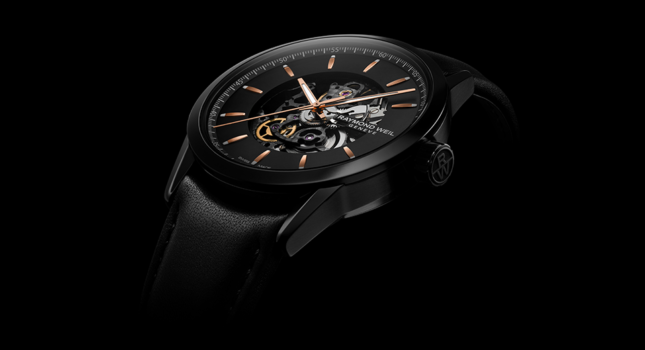 These Swiss luxury watches are uncompromising in their commitment. From the selection of the materials, innovative design, all the way up to the manufacturing process, the most-stringent quality requirements have to be satisfied. 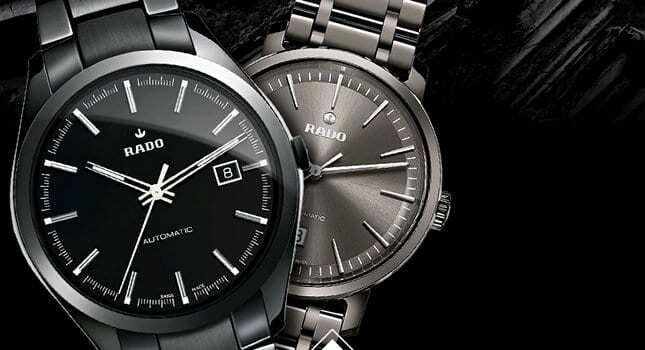 Modern, cosmopolitan design is the hallmark of this watch collection. These chronometers have an individual look, and their bold eccentric weight gives them a unique, stylish flair. Thin, sophisticated, and absolutely circular in shape – minimalistic and plain and appropriate for every occasion due to the replaceable wrist bands. You can choose between the classic leather wrist band and the timeless color combinations of the NATO wrist band.